Tracker Suite offers modular, integrated applications for automating both Project and IT Operations. Our applications are easily deployed and rapidly adopted by users. Tracker Suite offers modular applications, allowing your organization to choose the tools it needs to cost-effectively assemble the IT solution it wants. Source code is included with licensing, allowing you to leverage your own IT resources for customization work. And Tracker Suite's Support Tracker is our base module for our IT Operations Solution. It is the combination of power and flexibility of the modules that makes Tracker Suite a model IT solution. 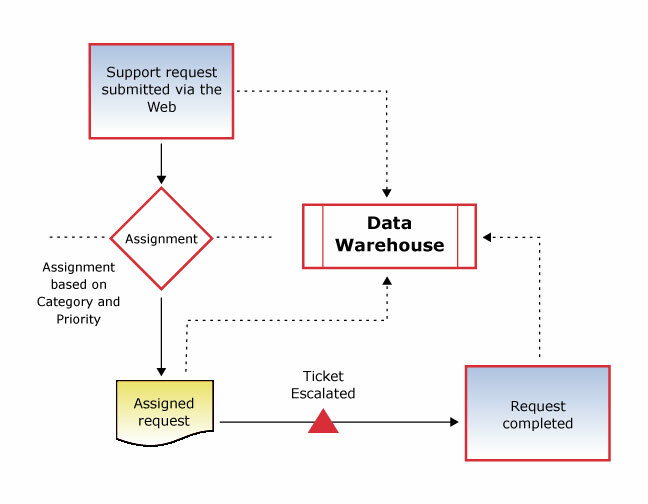 Tracker Suite provides solutions for the tracking and management of the major operational processes which drive the organization, solutions which can be almost instantly deployed across the organization by simply sending an email with a hyperlink, solutions which are offered through an environment that users are already trained in and familiar with. Competing, stand-alone solutions face the uphill battle of integrating with a foreign system and winning the acceptance of the user community. Tracker Suite simply extends the existing system which is already part of the organization's culture. Automating IT Processes: Tracker Suite simplifies communication between customers and the IT community with both Project Management and Support Request functions. Tracker Suite also simplifies and secures another important IT process - asset management. Using Asset Tracker, IT administrators can easily create assets such as computer equipment, mobile devices, handhelds, phone systems, facilities and more. Tracker Suite software also manages requests, assignments, tracking and collection of assets. Administrators can also control security assets like keys, or intangibles such as user accounts, passwords and codes. Complete Resource Management and Time Reporting: Tracker Suite also allows an organization to have complete resource planning across support tickets and projects. With the implementation of Time Tracker, an organization is able to capture time against projects, help desk tickets, administrative time, and vacation/holiday in a single system. Automating Financial Processes: With Purchase Tracker, IT can fully manage the purchasing approval workflow, and integrate budget vs. actual information with Project Tracker. Further, items received in Purchase Tracker can be registered in Asset Tracker. Organizational Transparency: The Tracker Data Warehouse collects data from all of the Tracker Suite databases, projects, personnel, support, and time - and consolidates the data into real-time reports. For administration, the Tracker Data Warehouse provides a glass window into their operations, with reports which can be pivoted and filtered as needed to quickly get to the bottom line.